Identify and recruit sponsors, partners and exhibitors on your behalf. Prepare all the necessary proposal documentation, contractual paperwork and terms and conditions. Invoice and receipt all sponsors, partners and exhibitors and manage the ongoing administrative requirements of these arrangements. Source and liaise with the exhibition hire companies to obtain the best deal for your event. Develop the exhibition floorplan and layout with the chosen exhibition hire company. Develop a detailed exhibition manual containing all the necessary information for your sponsors and exhibitors. 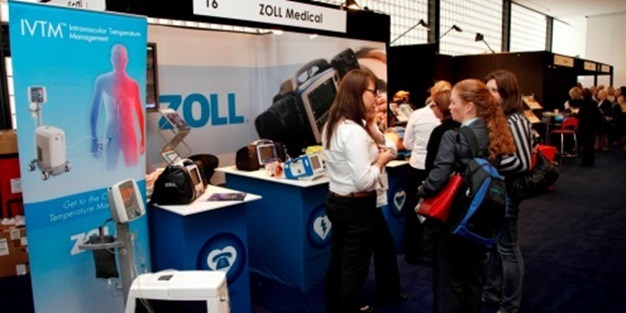 Manage the exhibition set-up and exhibitor liaison both prior to the event and on site throughout the exhibition. Organise receipt and set up of any poster displays. Catalyst Event Solutions can act as the main point of contact for all sponsor, partner and exhibitor enquiries. Acknowledging that nowadays logo placement and name exposure is considered a bonus but is not the primary goal of sponsorship, your sponsorship packages may be enhanced and scaled to include ongoing, unique and current communication activities for your sponsors. These benefits are essential to demonstrate to your sponsors, as well as your prospective sponsors, that you take a pro-active approach to ensuring your sponsors receive benefits and coverage both leading up to, during and following your event. Catalyst Event Solutions can work with you to develop a comprehensive activity calendar listing the suggested activities, approximate implementation dates and completion date to track the progress of these services.